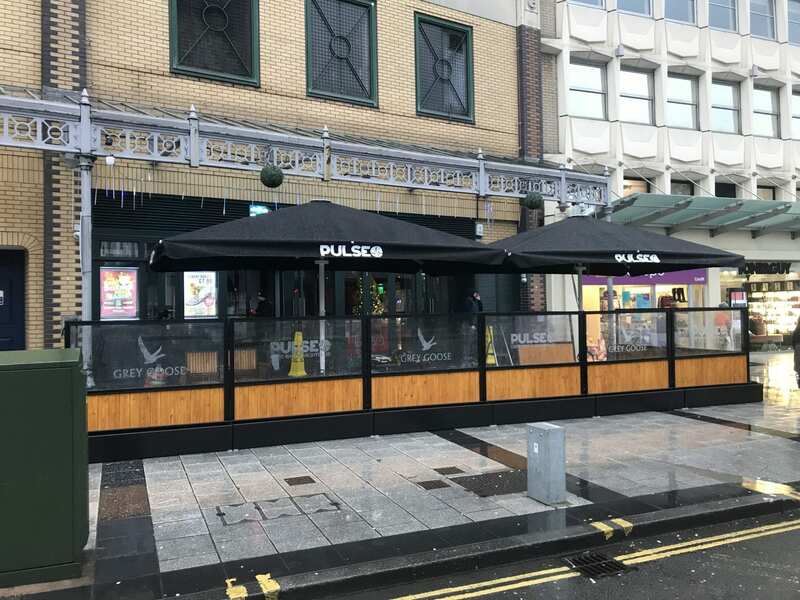 Interested in making the most of the space given at the front of his club, Carl Ryan got in contact with the Alfresco Solution team and as always we had the perfect solution. 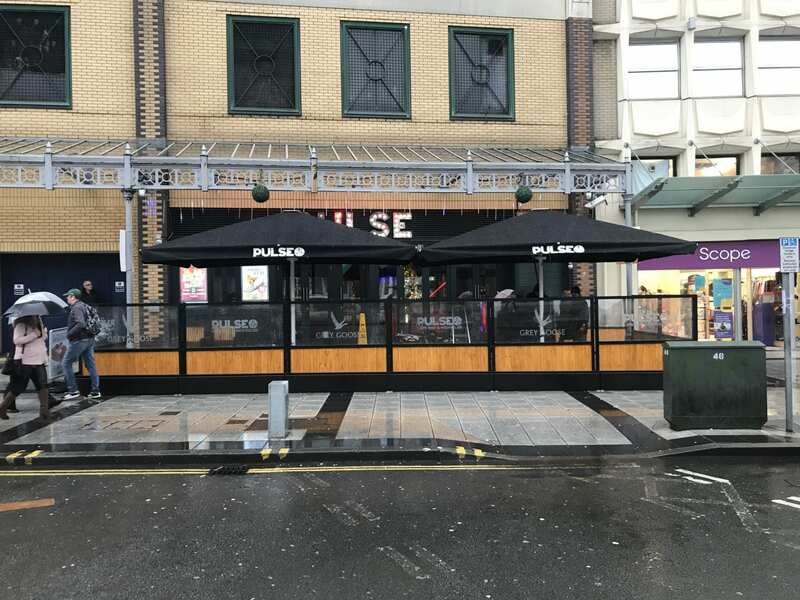 Providing the LED signed terrace screens with planters created the outer perimeter of his designated area with a stylish touch & as always our giant heated parasols producing a warm, sheltered seating area for his customers to enjoy. We put out to tender prices for an alfresco solution to our terrace at laduree, Harrods, Alfresco Solutions Europe Ltd came up trumps in all areas, product service and delivery times were spot on, the terrace is a huge success so thanks guys. 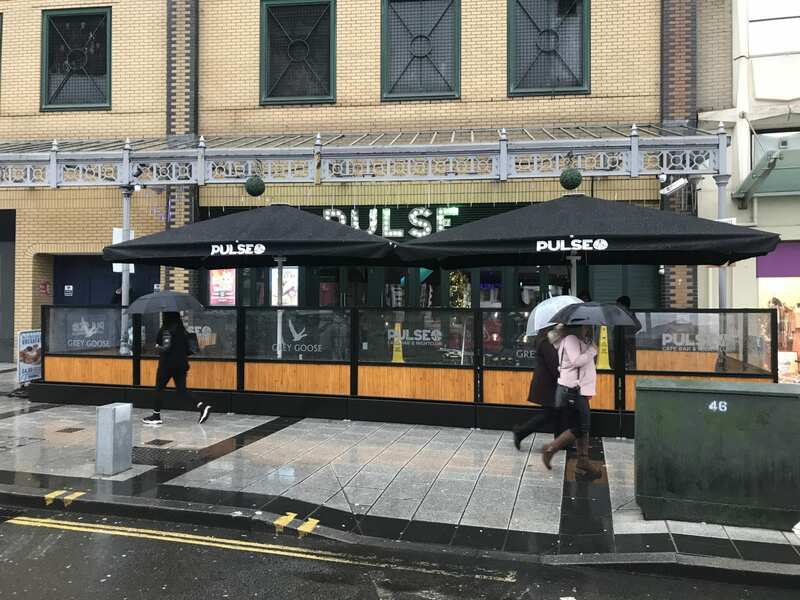 We use Alfresco Solutions for all our pub awnings and parasols, I always recommend them. We use Alfresco Solutions Europe ltd, we have been in pub and hotel business for a long time, and worked with many suppliers, I endorse Alfresco Solutions Europe as one of our best. 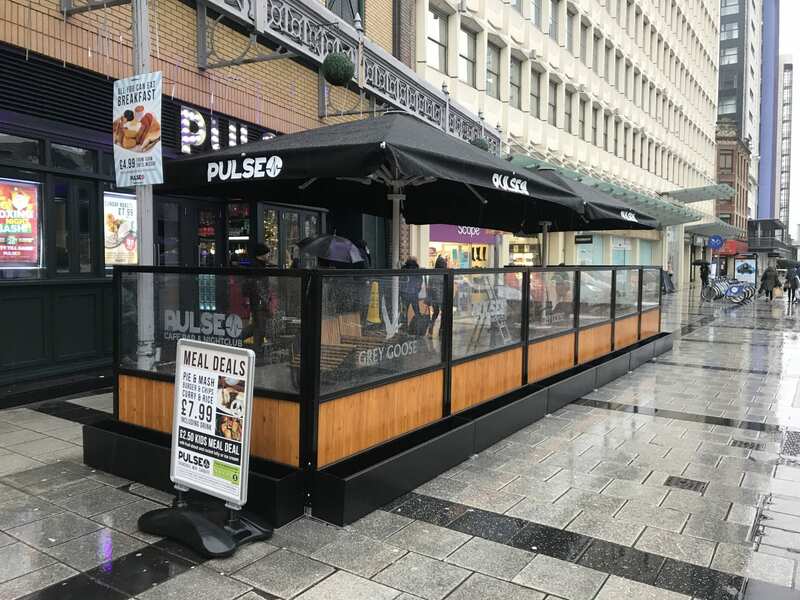 We pride ourselves on having one of Londons best alfresco dinning terraces, this is a lot to do with the quality products and services that Alfresco Solutions Europe Ltd have supplied us. We will get back to you within 1 working day.